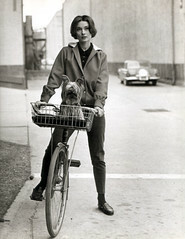 can you come back and show American women how it’s all done with style? Oh, there you are…on your second lap around–you’ve come back as Swami (long bunch of syllables). 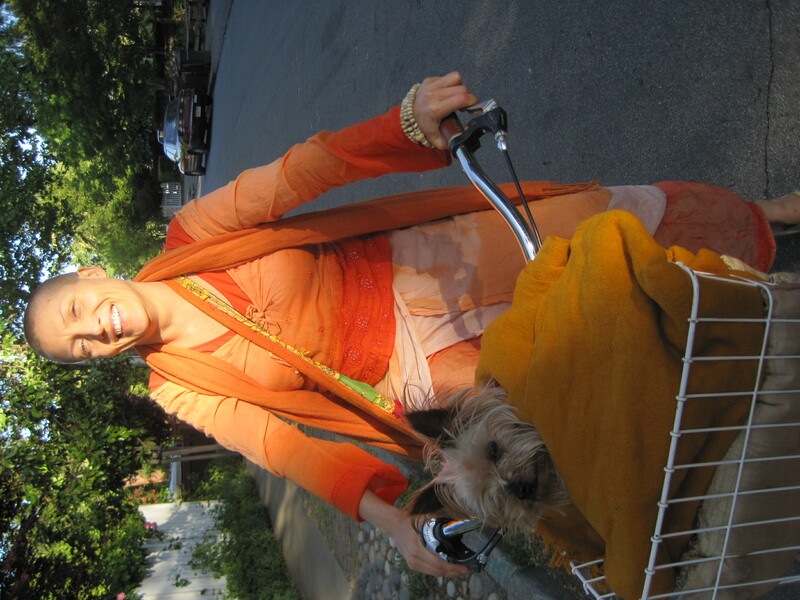 The hip swami, who gave away all her stuff 3 years ago, car, possessions and her pooch. “Hey, I can’t help it if my dog returned!” Swami grins as we ride along, me balancing a five gallon bucket on my left, while fishing for camera (in an overstuffed messynger bag) on the right. I really wanted to capture Swami en roulante. Swams, I am late in this post, so sorry to have not popped you in here the moment I got home…..
~ by jacquiephelan on May 11, 2010.